JDM NISSAN PATHFINDER 3.3L SOHC V6 ENGINE. 1996-2000 NISSAN PATHFINDER. 3.3L SOHC V6 ENGINE. WITH DIFFERENT NISSAN AND INFINITY MO. NOTE: THIS ENGINE IS INTERCHANGEABLE. ENGINE WOULD BE RIGHT FOR YOUR. We are not a middle man, and produce and assemble everything in our facility here in Los Angeles County. The reason being, when we receive our core engines from our distributors they are marked with a year which we do not mix and match. JIS Part# NSBVG33. 00-04 Pathfinder, VG33E. 99-04 Xterra VG33E. Outright (No Core). Fits Nissan Frontier Xterra 00-04. Complete Rebuilt Short Block VG33. 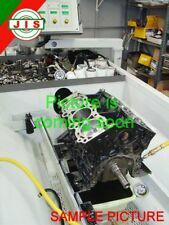 engine long block, crankshaft kit, cylinder head, full gasket set, head gasket set. Sunshine State JDM. COMPLETE ENGINE. This engine is imported from Japan with less than 55k miles. EXHAUST MANIFOLD. Sample pictures (you will get a very similar one). United States. 96-00 NISSAN PATHFINDER 3.3L SOHC V6 ENGINE. ENGINE (WITH EXTERNAL ACCESSORIES BOLTED TO THE ENGINE). WE'RE HERE TO HELP. WE WILL DO OUR VERY BEST TO ASSIST YOU. AC COMPRESSOR. POWER STEERING PUMP. EXHAUST MANIFOLD. 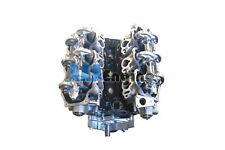 The engine VG33E is used JDM Engine imported directly from Japan that is used in NISSAN PATHFINDER (1996 to 2000). It is 3.3L single cam V6 engine. It has estimated below 65000 Mileage which will definitely improve performance of your car after replacement. The engine VG33E is 3.3 Litres (3,275 cc) version built in Japan. JDM Orlando features this engine with 1 month replacement warranty and provide express shipping at your door-step all over the United States, Canada and other countries. JDM Orlando also provides reliable installation service for customers based in Orlando area Florida with 4 months parts and labor warranty. PARTS INCLUDED: ---ENGINE AS SEEN IN PICTURES ---EXHAUST MANIFOLD ---INTAKE MANIFOLD SAMPLE PICS ARE SHOWN!. 96-00 NISSAN PATHFINDER 3.3L SOHC V6 ENGINE. ENGINE (WITH EXTERNAL ACCESSORIES BOLTED TO THE ENGINE)(USE LONG BLOCK ONLY). WE'RE HERE TO HELP. WE WILL DO OUR VERY BEST TO ASSIST YOU. AC COMPRESSOR. POWER STEERING PUMP. Parts numbers, VIN number and pictures will help us in our research. We appreciate any opportunity to help you in your search for your auto parts. Int Trim Code - This is the code designated by the vehicle manufacturer as to the color,style, and material of the vehicles interior. Dallas JDM Motors. make Supersized seem small. Get images that. Arlignton, TX 76011. 827 Avenue H East #213. ALL ENGINES ARE TESTED BEFORE SOLD AND COVERED BY WARRANTY. Photos are of actual item . Local Pickup Available.